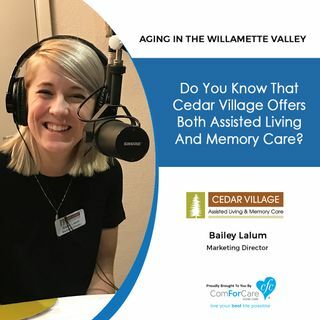 Dynamic Marketing Director Bailey Lalum discusses Cedar Village Assisted Living & Memory Care. We find out about the services offered, activities, and how the staff and residents interact like family. We focus mainly on the assisted living side of their community, but we do touch briefly on their memory care as well. Bailey is fun, energetic, and full of information, so tune in for an exciting and humorous show!